Get in Shape with Lelia in your Home! Hi My Name is Lelia and I am a Personal Trainer in Englewood Cliffs, NJ, Fort Lee, NJ and the local areas. My passion is helping you to meet your fitness goals with a custom-designed, flexible and effective program that suits your needs and schedule. My mission is to help you meet your individual goals based on fitness and injury history, current health situation or issues, and time limitations. I will assist you with motivation and exercise adherence during sessions and with regular contact between sessions. 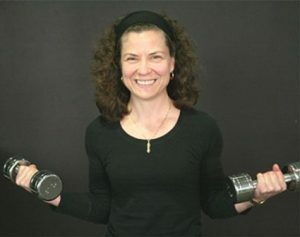 Drawing on 15+ years as an AFAA certified personal trainer, I have worked with clients of all ages, supporting a wide range of goals: to lose or manage weight, pre/post natal fitness, toning up, and post physical therapy maintenance. My approach is to start gently and gradually increase the intensity without injury–especially to your motivation. My goal is to help you make permanent healthy changes in order to improve your level of fitness for the rest of your life. Learn more about Personal Training in Englewood Cliffs NJ and the local areas with Lelia. Submit your name, e-mail, address, city and any comments/ questions you might have.